I was a mere reporter, I said, I am not so important. But Najib said mere reporters were not “sent” to the Afghan war five times in a year and that he had done his homework. Then he told me what he wanted conveyed to Rao that he wouldn’t trust his own ambassador with. Salt that away for your memoirs and grandchildren, I said to myself. But, on my return, I did happen to mention this as a joke at a party to M.J. Akbar, who was then close to Rao. He said I must tell the prime minister. I laughed. The next morning there was a call from the prime minister’s office and an audience was offered. Rao sat there, slurping at his porridge uninterestedly as grandfathers tend to do, bit spraying on the napkin around his neck. I told him the story, the message, laced with many apologies. That I did not know what business I had to be there, that I had no idea why Najib had chosen me for this and not our or his ambassador, or that I was possibly only being made a fool of. As a reporter, I said, I felt so awkward to be drawn into all this and would he please keep what I said always to himself? He smiled, patted his belly thrice, crossed his arms, and said, what goes in there stays there for ever. Rao was not one to take it all so lightly. He took lots of notes with a lead pencil and then gave me a long discourse on the Afghan problem, a masterly analysis on complexities that emerge when tribalism and ethnicity clash with religion in the absence of a well-defined nationalism. What the message was, let me still save up for the future. But no other Indian prime minister, except Nehru, could have packed so much insight and intellect, in a 30-minute discourse on so complex a problem. It’s bit sad to write this today, his death anniversary, when the entire country has forgotten him. He is our most vilified and deliberately misunderstood prime minister. I had written something similar also on the day he was convicted in the trial court (later acquitted). Everybody was cursing him then, and his party was using the lofty old line of “let the law take its course”. It had never used that line when it came to one they truly regarded as their own. Not when Mrs Gandhi (senior) was disqualified for electoral malpractices by the Allahabad High Court (her party had then called it a minor traffic offence). Not when Sanjay Gandhi was produced in court to face so many cases of Emergency excesses and corruption. Rao was not the most accessible of prime ministers. He was also certainly the second most uncharismatic after H.D. Deve Gowda. But he was always on the job. Much has been written about his shepherding of a very, very vulnerable India through the collapse of the Cold War, the opening up of the economy and the foreign policy, his masterful marginalisation of Benazir Bhutto in her most virulent phase when Kashmir and Punjab were both on fire and a new one was being lit out of Ayodhya. This was when the Americans were constantly breathing down India’s throat, we needed IMF bailouts and the entire international human rights community had a single point focus: Kashmir. 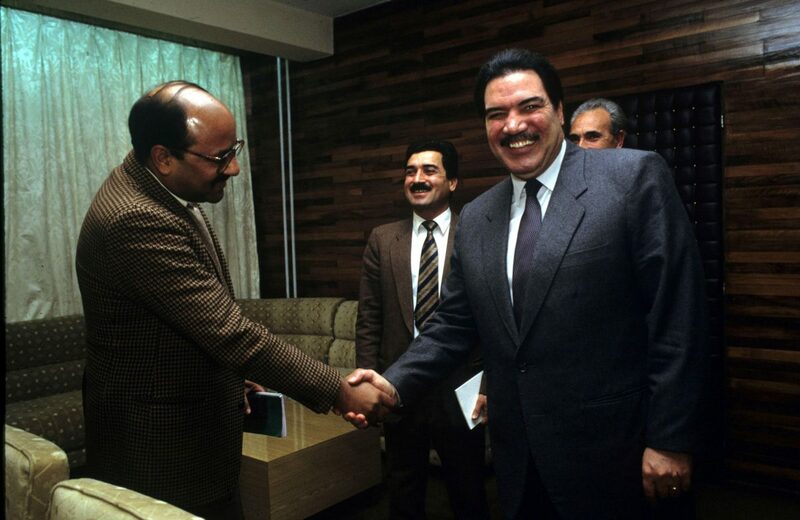 Who else could have decided to upgrade relations with Israel in that critical phase, but waited patiently for Arafat to come visit New Delhi to make a formal announcement and get him to endorse it at a press conference? Rao’s style was so hopelessly understated as to amount to self-denial, which is no virtue for a politician. But his method was thorough and effective. Cynicism may have been his personal style statement but what else could you have expected of somebody whose own party was unwilling to give him credit for what he was doing right? The biggest problem was, if he didn’t want to, he told you nothing, as if any extra word he spoke would give a national secret away. Are we doing better than before in Kashmir, I once asked him. “You see, we will do something, they will do something. What we get will always be a net of that,” he said. It was during the peak of the Kargil war that I dropped by one afternoon for a few words of wisdom from the old man. How would this Old Fox have handled a crisis like this? Would he have buckled under? Would he have escalated the war? Yet another lesson in Narasimha Rao’s art of crisis management. This is when he opened up a bit more on what he did the day Babri Masjid fell, (I wrote about this in detail in a piece earlier this month, on the 25th anniversary of the demolition of the Babri Masjid: Narasimha Rao felt betrayed over Babri, he avenged it by trapping Advani in hawala scandal), when the news of the burning of Charar-e-Sharif came, on how he swung the “settlement” of the siege of Hazratbal and on the way the rules of engagement were evolved in Punjab. If among the few sympathisers in the courtroom on the day of his sentencing you saw K.P.S. Gill, you can draw your own conclusions. Fortunately, not all men are so devoid of a sense of honour as the usual Congressman. This is no political obituary of Narasimha Rao. You will learn a lot more on him from Vinay Sitapati’s biography: Half Lion (Penguin Books, 2016). This is merely to underline this fascinating man who achieved so much in five impossible years and died so friendless. And this is nothing to do with any moral outrage over his “corrupt ways”. Rao was punished by the middle class for keeping the BJP out of power for a full five years. Why else would it hate someone who gave them so much, through economic reform? Similarly, he was punished by the Congress party for keeping the Gandhi family out of power. For daring to believe that he could lead the party, and keep it in power, whatever the cost, in the absence of an active Nehru or Gandhi. It is for this sin that the very party that should have been so grateful to him now wants the law to take its own course and would have celebrated his conviction, and later didn’t allow his body to be brought into its headquarters. This article was originally published on 23 December, 2017. How much were the 1991 reforms due to conviction of PM Rao or the balance of payments crisis the Indian economy was facing in July 1991 with barely enough forex for 2 weeks of imports? My view: India very reluctantly initiated reforms then….all along its polticians and elite detest market economics and want everything to be done by the sarkar…and sarkari hand outs given. Most certainly N.RAO, deserved to be remembered on this day. But you remembered his memory today, and very beautifully. However, your knowledge of the man would have deserved some comments about the positive or negative impact of the reforms that N. RAO has launched. Without doubt, PVNR was the most intellectually gifted PM we have ever had. Had he not become the PM, it is possible that we would still have remained the TOP INTERNATIONAL BEGGAR. Forget the Bharat Ratna, not even a lane in the capital has been named after him. My tributes to Mr Rao for liberalizing the economy. Well written; Rao was not given a place of honour by his own party, even though he led the country out of crisis during he tumultuous years by ushering in the economic reform, the credit for which was given to MMS. He should have been honoured with Bharat Ratna for his contributions to the country. Congress Party acted in a petty minded manner by not doing so, as they ignored Mr Vajpayee that honour. Middle classes were against him? who said. Could be that there are 2 kinds of middle classes – based on geographical division is it? He was no doubt one of the best Prime Minister, India could have. (1) you have not elaborated on what the Afghan leader wanted you to convey to PVNR. And when you conveyed that message, what was the complete reaction of Mr. Rao. Shekhar, you are most welcome to come and see the exhibition that we are opening on December 25 called Pathfinders, on PVNR and ABV. On till Jan 25. The deadful early nineties. We could have broken up as a nation. Mr Rao deseeves all the respect he ought to. A comment unrelated to the story, but about publishing industry practices. It is unfortunate that the ‘sources’of various quotes and other material are credited in articles, but often, too often photographs are credited as “File Photo” or the name of the agency distributing it. Do photographers not deserve their names to be attached to their work in posterity, much like other contributors? If anything they are probably the most hardworking journalists I have ever seen. They can’t file a story by calling people up, they gotta be THERE. This is not necessarily true of only the old and the ancient pictures, happens with more recent images which would have been tagged appropriately in some digital backup. Or maybe I am mistaken in that regard, if so, that’s another issue that needs to be fixed. I have also seen this happen with organisations that are reusing their archival material, I have seen this happen with Raghu Rai’s pictures. Hope an organisation like yours run by a professional journalist can raise above this trend in the publishing industry. Dear Shekar Gupta – Thanks for writing this piece. I had an opportunity to meet the great scholar and great PM. He was one of the best Prime Ministers India had, if there was no PVN – there would be no Dr. Man Mohan Singh = No reforms. I have always held the view that Narasimha Rao was the person who made the first positive move to liberalise and open India’s economy away from the Fabian/Nehruvian socialism of the Congress. Our last PM (ManMohan Singh) is now jokingly referred to as MMS (MamaMia’s Mute Sycophant) Unkind perhaps, but apt, poor guy!! It is only because of impartial journalists like you that public figures such as PVN Rao make the headlines. It won’t be fallacious assumption that if given an opportunity, the current Gandhi family will be the first to whitewash India’s modern history and erase all names other than Nehru / Gandhi. The reforms of 1991 will be his defining contribution to creating the India we all desire. Great pity he allowed the Babri Masjid to be demolished on his watch. Rao was liked by so man y.His Governance was good.He and Dr Manmohan Singh as FM kept price under control. Delhi was unhappy for keeping birth right p.m.s (singh, tewari) out of power and bobay for keeping Pawar out of power. As an intellectual he way ahead of even Nehru. He could access India’s diversity through his mastery of many Indian languages whereas others depended on translations. But the Congress will never allow anyone to be intellectually superior to the less endowed Nehru Gandhi family. Well reasoned and a candid piece. A very good article from Shekhar gupta. Today I find only Mr Swamy remembering him and his demand of Bharat Ratna for this great son of India should be immediately conferred . A very admirable piece of writing from Shekhar Gupta. The congress and most countrymen have been unfair and ungrateful to this master politician. How I wish he were in power for another term! I think Shekhar Gupta should also attempt an article on this whatif, that would be fascinating. I think , Shekharji , you are perhaps the only one both among the journalists and politicians who is remembering on and off the Great Soul that PV was in this great country of ours ! 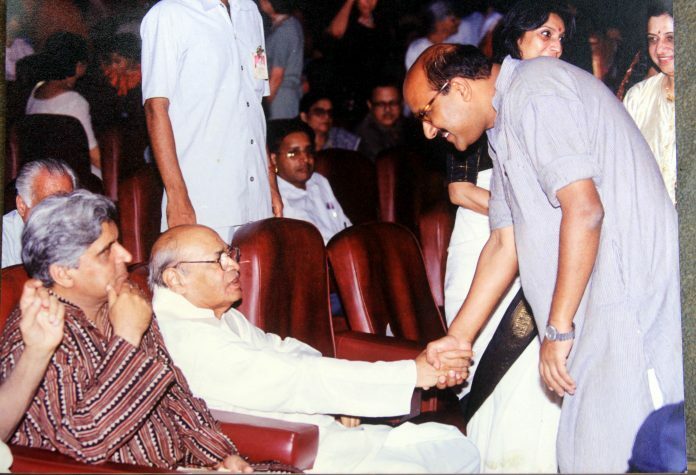 I was very close to PV Narasimha Rao and met him frequently for decades, from mid 1970s until his demise. I remain a great admirer of his. As a common citizen, it is also my belief that after Jawaharlal Nehru, Mr Narasimha Rao is the most democratic PM until 2017. Mr Rao steered India through the most tormented years of India. This article is really a very small, but very apt tribute to that great politician. And I disagree a bit with the author Shekhar Gupta, that the middle class disliked him. I know many middle class guy who do admire Mr Rao. Thank you for sharing your stories and experiences with Mr. Rao. He is my favorite Prime Minister. I read his Fictional Autobiography long back and now Vinay Sitapati’s biography: Half Lion (Penguin Books, 2016). I could not disagree with you about his intelligence and grip over the contentious issues. I lament too that he was not given his due in history!